Have you considered living your life on the road and traveling wherever you want as a way to make the most of your retirement years? I’m a full time RVer. 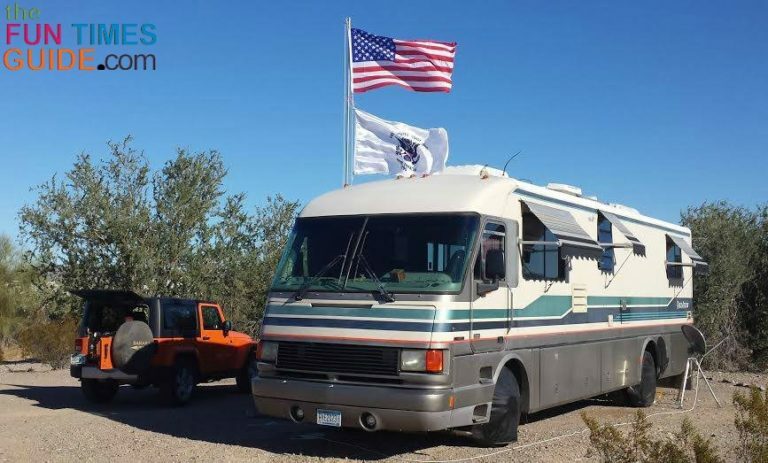 My 36-foot, 20-year-old motorhome is my only home. 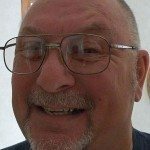 I’m proof that cheap RV living can be a reality for most anyone. As it turns out… whether you are actually traveling in your RV or staying in an RV resort, the cost of day-to-day life is about the same. When you’re living in an RV, you can travel whenever you want… or stay put with all the amenities of normal society. You can live according to what your mood tells you for the moment. Those are my 3 major requirements at RV parks, but I would prefer to include propane availability on site as well. The cost for 1 month: $450 inclusive. That’s a little pricey for the quality of the place, but the location was convenient and it was a safe neighborhood. I’ve been traveling since then, staying exclusively at spots where I can spend the night for free — Walmart parking lots for the most part. They have all welcomed me warmly when I ask at customer service if RVs are allowed to spend the night. It helps that I use a smartphone app to find Walmarts that do allow you to stay ahead of time, but I always confirm when I get there regardless. 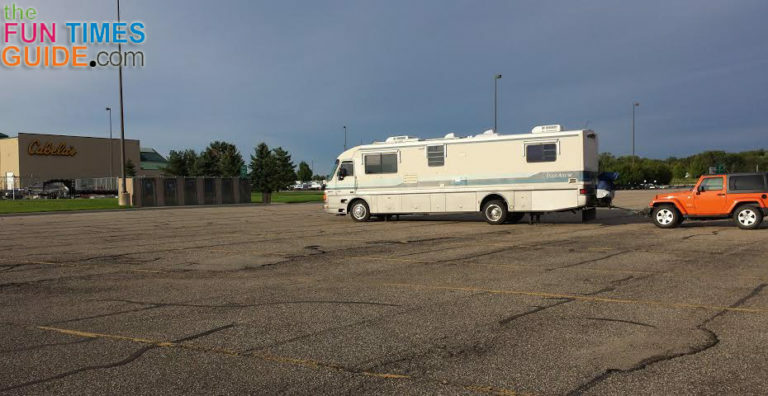 I’ve also stayed at places like Cabela’s — where not only do they allow you to stay, but they have a painted parking lot laid out just for RV overnight parking! They also supply a dump station and fresh water at no charge. And the last Cabela’s I stayed at even had dog kennels — so you can leave your pet while shopping. By the end of the month, I will be halfway across the country — where I plan to stay at an RV resort, complete with all the amenities, including cable TV, WiFi, and an on-site RV/car wash. The total cost of 1 month’s stay will be about $500. Many places between here and there are measurably cheaper, but this place is on the outskirts of a major metropolitan area — so it’s expected that the prices are a little higher. 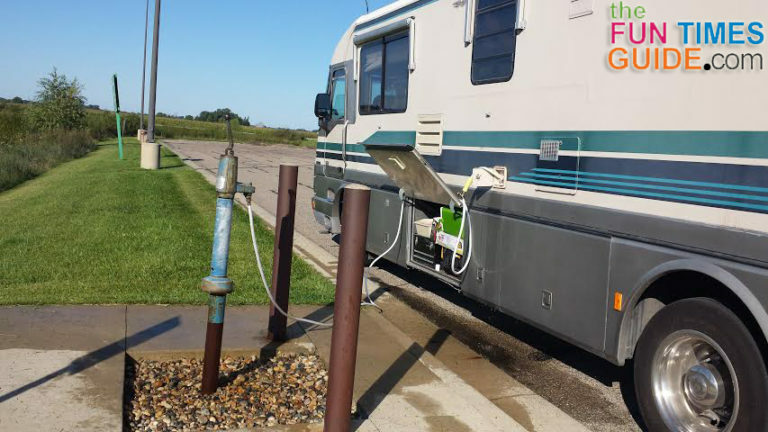 I’ve priced RV resorts and RV parks around the country, and I find that $500/mo. is about middle of the stream cost-wise. It’s True… Almost Anyone Can Afford Cheap RV Living Full Time! 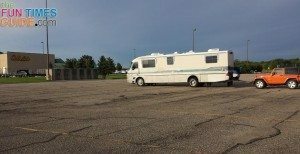 Traveling in the RV without driving long distances in a day. Kicking back at a campground for a month’s stay. NOTE: A month’s stay at an RV park is often half the cost of the daily rate. And short driving days means the monthly fuel budget stays intact. If you choose to spend the winter months in the southwest, the numbers crunch even more to your favor! You can park on BLM land for free, or stay in a Long Term Visitor Area for $180 for the entire winter season. When you compare $500 a month to the cost of home ownership, it’s an easy decision. I’ve proven that life on the road can be attainable for almost anyone with a modest income. 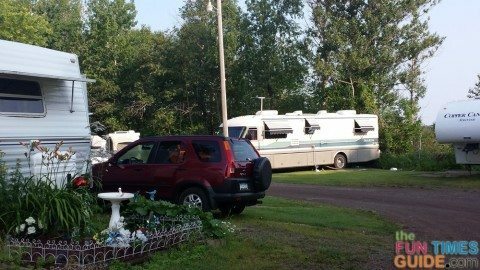 How Do Fulltime RVers Handle Health & Medical Issues?